On this date in 1831, one of the great Spanish liberal officers was shot along with dozens of comrades attempting to spark a revolution. It was a dark time for Spanish liberals under the autocratic rule of Ferdinand VII. 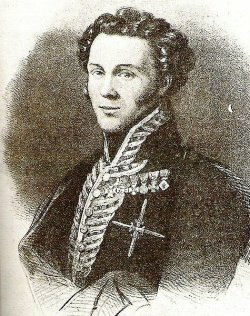 Jose Maria Torrijos y Uriarte (Spanish Wikipedia page) was one of the heroes of that downtrodden cause from way back, a noble-born officer who had been made a captain at the precocious age of 13 and been around for all of Spanish liberalism’s greatest early 19th century tragedies. 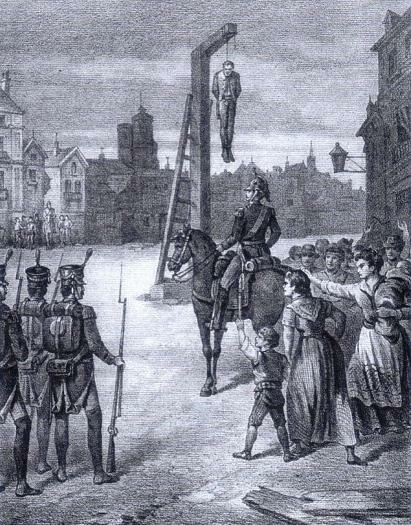 He was in Madrid for the ill-fated uprising against its French occupiers in 1808, and was captured en route to aid Pedro Velarde‘s last stand. 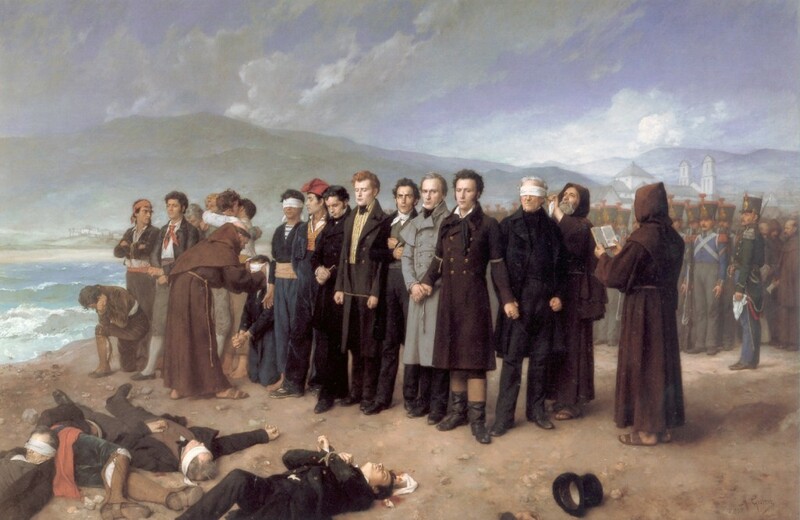 Lucky for Torrijos, and luckier still: as a prisoner, he might have been in line for the ensuing mass execution, but an aide-de-camp of General Murat let him go in gratitude for chivalrously preserving a French officer from the Spanish mob. A few years after the Peninsular War, with independent Spain yoked to a reactionary Bourbon-backed monarchy, Torrijos’ dangerous opinions made him a prisoner once more. This time, he was liberated by the brief ascendancy of fellow-traveler Rafael del Riego. This effusion, too, was destined for grief upon the scaffold; once more, Torrijos escaped, this time to exile. Pushing forty and a bit emptyhanded for all his strivings, Torrijos’ restless soul was not satisfied knocking about the shores of England. He soon assembled a company of like-minded folk (such as Robert Boyd) to make another bid at liberating Iberia. But he was induced to put ashore under the misapprehension of support, and promptly rounded up. 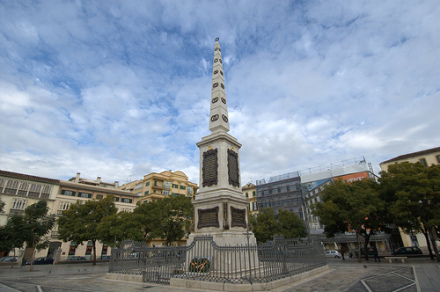 Monument to Torrijos at Malaga’s Plaza de la Merced. * Around 50 or so were shot. The exact figure is differently accounted by various sources; I have been unable to determine if any among them are authoritative.